Here at Jubilee! Community Church in Asheville, we use a Bible-based interfaith Sunday school curriculum that I’ve been developing over the last several years. From what we can tell, the kids in our program are becoming open-hearted, open-minded young adults. They are unafraid to explore their own faith, to articulate their own version of who/what God is, and to discover the sacred practices that speak most directly to their own spirits. They are both Biblically literate and somewhat familiar with the terminology, holy days, and rituals associated with the other major world religions. Our approach is totally unique, but we firmly believe we are offering a powerful alternative to traditional Sunday School that better prepares our kids for today’s multifaith world. 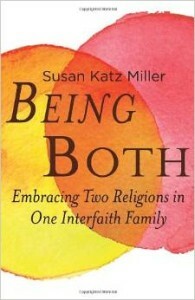 That’s why it was so refreshing to read Susan Katz Miller’s book Being Both: Embracing Two Religions in One Interfaith Family (Beacon Press, 2013). Miller grew up with a Jewish father and a Christian mother at a time when parents were pressured to choose a single religious tradition for their children. Her parents chose Judaism. As a child, Miller traveled to the Christian home of her grandparents for Christmas and Easter, but she was raised Jewish. She attended Shabbat services at the synagogue, celebrated the Jewish holidays, learned Hebrew, and was bat mitzvahed. Years later, as an adult living in the D.C. area, Miller and her Christian husband found the Interfaith Families Project of Greater Washington (IFFP). The community is led by both a rabbi and a minister, and both of Miller’s children grew up attending their Sunday School where both Judaism and Christianity are taught in equal measure. 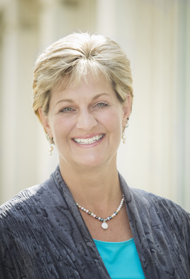 In Being Both, Miller shares her personal faith journey, stories from members and leaders of various interfaith communities around the country, and the results of her own survey research. Nearly everything in her book confirms what we observe in our program: “being both” may not always be easy, but it’s certainly possible, and in some cases, it’s a much-preferred option. In the early chapters of Being Both, Miller provides a brief history of small communities in large cities that helped bridge the gap for Jewish-Christian interfaith couples early on. She shares their stories as well as reflections from interfaith rabbis and ministers. In Chapter 3, she makes a clear case for the benefits of raising children as both, and in Chapter 4, she eloquently argues against some of the criticisms often made when interfaith families choose this path. These criticisms include that children will be confused, that eventually children will feel pressured to align with one parent’s tradition over the other’s, that each tradition will be watered down in some way, that children will end up feeling uncomfortable in both traditions, and that only people who don’t really care about religion would be willing to raise their children as both. While those outcomes are possible, Miller’s experience and research suggest that they are certainly not the norm. In later chapters, Miller address how community life is handled in the being-both, Jewish-Christian community of IFFP. Founded almost 20 years ago, IFFP now consists of over 100 member families. Weekly Sunday morning services are held, holidays from both traditions are celebrated, members work together on community service projects, and everyone is invited to explore the meaning of an interfaith identity. They also help families make decisions about the sacred traditions associated with major life milestones. Will an infant have a baptism or a bris? Something in between? Both? Neither? Will an adolescent have a confirmation, a bar/bat mitzvah, or some other coming-of-age ritual? Along the way, Miller artfully incorporates bits and pieces of her extensive research. She surveyed 256 adults and 50 young adults who have participated in independent Jewish-Christian interfaith communities. She also gathered input from many of the clergy who have led these communities. As a person who no longer self-identifies as a Christian and as a multifaith educator, I was amazed at how often I resonated with the quotes. It was heartening to hear that others have shared similar concerns and drawn similar conclusions. It was reassuring to hear the young adults say that they do not feel half-Jewish and half-Christian but fully both. And it was inspiring to read about multifaith clergy and interfaith communities that are clearly successful. To Miller’s credit, I never felt like I was reading a research article. As a former reporter, Miller has a straight-forward writing style that is both insightful and compassionate. She gently describes how difficult it was to feel accepted by various Jewish communities when it was her father, rather than her mother, who was Jewish by birth. She honestly shares the questioning that both she and her young adult children must address when they claim to be both Jewish and Christian. And she gracefully weaves her qualitative research findings into each chapter. Although she is very thoughtful, Miller never falters in her courage. She is committed not only to her own choice – celebrating all aspects of her religious heritage – but also to the encouragement and inspiration of others making the same decision. As she puts it, “Whether Jews or Christians or Hindus or Buddhists, no two individuals have identical beliefs and practices; thus, every marriage could be considered an interfaith marriage.” Here at Jubilee! Community Church, we believe the same is true for kids, which is why we try to provide them with all the tools they’ll need to follow their own faith path. Being Both is a great mix of personal experience, stories, quotes, and factual information. It’s easy to read, but it’s also highly informative. If you are worried about the effect a mixed marriage might have on your children, if you’re interested in reading about how interfaith communities might work, if you’re thinking about raising your children to be faith seekers, or if you just want to feel more at ease about how our children will fare in a multifaith world, then I strongly recommend this book. I assure you that it will be time well spent.